It’s that time to prep for holiday parties, mixing up some sweet treats to share. So I’m baking up a plate full of these cute little candy cane cookie buttons! 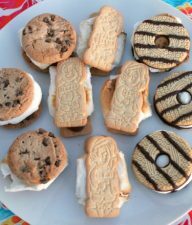 They are just the cookie dessert to bring to a get together, possibly an ugly sweater party or white elephant gift exchange. These are a sure hit and cute as a button! I’m partnering with Safeway to share a holiday recipe using both Betty Crocker™ and Hershey’s®. It was super quick and easy to head down my baking isle at Safeway to grab my ingredients, as well as the holiday candy area for a few Hershey’s kisses. I love these holiday candy flavors, especially the candy cane kisses! The ease and love are baked right in when you use Betty Crocker and Hershey’s for your holiday delights. 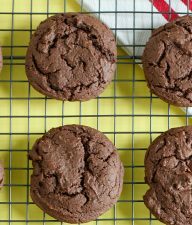 Here’s my recipe for baking these little buttons up. Mix up your cookie dough according the package directions – stir together cookie mix, 3 T flour, 1 stick of melted butter, and 1 egg. It will form a dough ball. Chill dough for 5-10 minutes. Roll out your dough to 1/4 inch thick with a rolling pin on a flat surface. Use a circle cookie cutter 1 inch or 1 1/2 inch diameter. TIP: I didn’t have a cookie cutter so I used a small jar with a 1 inch wide opening. Bake cookies for 5-7 minutes or until they just start to puff up, before they turn brown. I baked mine exactly 7 minutes and they were perfect. 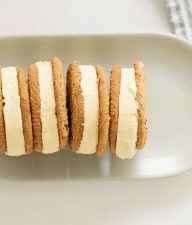 NOTE: the cookies do expand slightly while baking, so they will be a little bigger than in dough form. You could use a 1/2 inch cookie cutter for smaller cookies. As the cookies cool, unwrap your Hershey’s candy cane kisses and press them into the center of each circle. 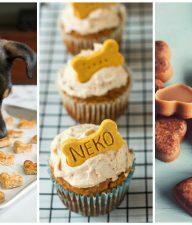 These will have a melted look if you add them to a warm baked cookie, so you can wait to add your kiss later once they are more cool if you prefer. Plate them up and they’re ready for a holiday party! Have fun munching on cute candy cane cookies this holiday season. Once your circles are cut, roll the sides of each dough circle into a bowl of sprinkles to coat the sides. Place each onto your baking sheet. This recipe makes a lot of little button cookies. I lost count after 70. 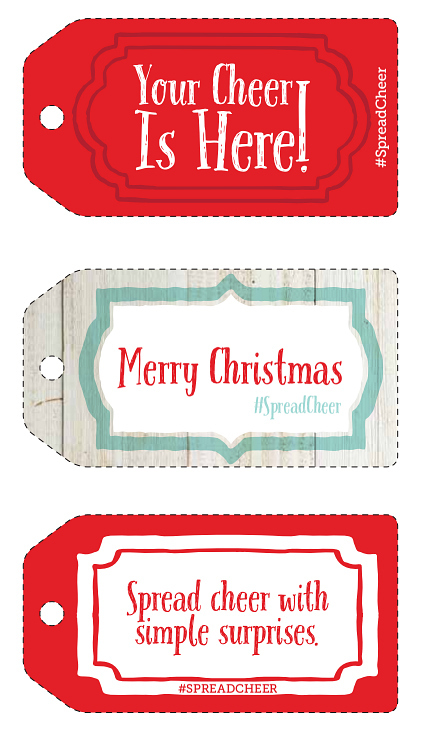 Be sure to print out these downloadable treat tags to go along with your baked goodies to family and friends, and #spreadcheer everywhere you go! This is a sponsored conversation written by me on behalf of Betty Crocker™ and Hershey’s®. The opinions and text are all mine.